The ultimate crispy baked buffalo chicken wings made with just five ingredients, chicken wings, salt, baking powder, butter and hot sauce. I’ve mentioned this ‘positivity’ thing I have going on for 2017, and you guys, this is important stuff for me, so I think it’s something I’m going to talk about and share on here. I swear it’s changing me already, and we’re only a month into the year! I feel lighter, happier, excited. These are good feelings, better than the dread and stress and exhaustion I was feeling previously. I know it’s not as simple as it sounds, but truly choosing to see things from a positive place, having positivity be your “default” has started to shift things for me. I definitely slip, and there are times when you just need to complain or rant, but I want those times to be outliers. So, that’s where I’m at with this right now, I’m focusing on making positivity into my “default”. I think, as creatures, we tend to react more negatively to surprise situations or conflicts. At least I know that I definitely do/did. 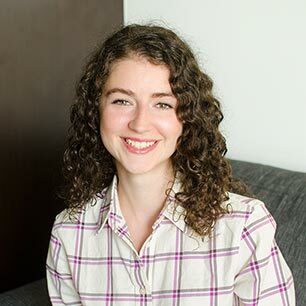 When something didn’t quite go as I had thought or had planned, my initial reaction was always some sort of yucky feeling–either frustrated or annoyed, I’m sure you know those feelings all too well. And when things felt out of my control, I would think to the worst possible outcome. That downward, negative thinking would spiral and seep its way into my being. This positive thinking journey has started to teach me that changing our default requires a ton of practice and intention. You have to think about what you’re saying. I met up with a friend last week after work at a super low-key, cheap bar in Chinatown. On the way, I got a phone call from a colleague about something at work, and this would have usually thrown me for a loop and I would have inevitably rattled off the story to my friend with an emphatic, “I NEED a drink”, but instead when he asked me how things (work/life/blog/me) were going, I didn’t. While we did talk about work and politics (of course) and how our 2017’s were going so far, I felt like there was a more positive feeling to our evening and it was so nice. 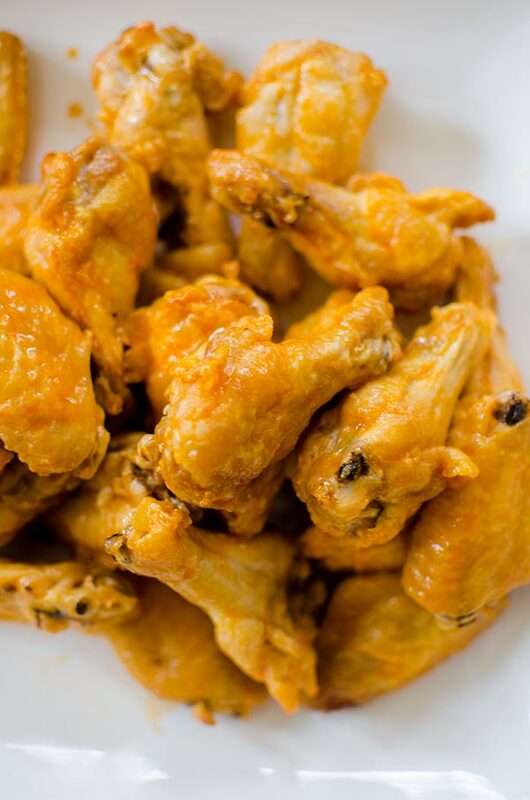 I’m not crazy about the Super Bowl, but I know that so many of you are so I developed this quick recipe for buffalo chicken wings that I think are pretty much the best buffalo wings you can make at home. They are crispy and spicy, the ratio of hot sauce to butter is just the way I like it, but you can definitely switch this up if you want something spicier. I use a ratio of 2:1, hot sauce to butter. 1/4 cup hot sauce (go for a vinegar-based hot sauce, like Frank’s) to 2 tbsp of butter (use salted for this recipe, please). I perfected this kind of buffalo sauce when I made baked buffalo chicken legs last year (this is one of my most popular recipes to date). If you’re looking for more chicken wing recipes, I’ve got you covered try my Tandoori chicken wings or Teriyaki wings. I actually think it would be so much fun to have a ton of different flavoured chicken wings out for the Super Bowl, kind of like an antipasti platter but instead, a chicken wing platter! Preheat oven to 425F and line two baking sheets with foil and place a wire rack on each sheet. 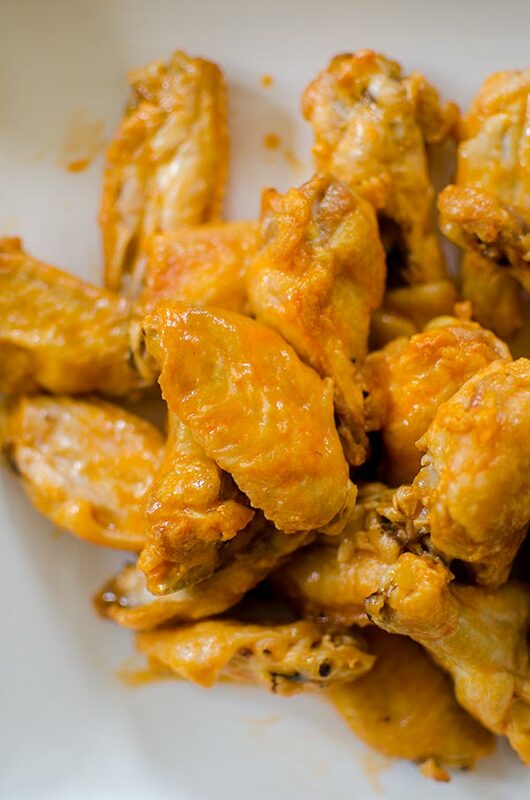 Toss chicken wings in baking powder and salt. Arrange on racks. Bake for 40 minutes, switching and rotating racks partway through. Remove from oven and allow to coolf or 5 minutes, Place in a bowl. Meanwhile, in a saucepan, melt hot sauce with butter. 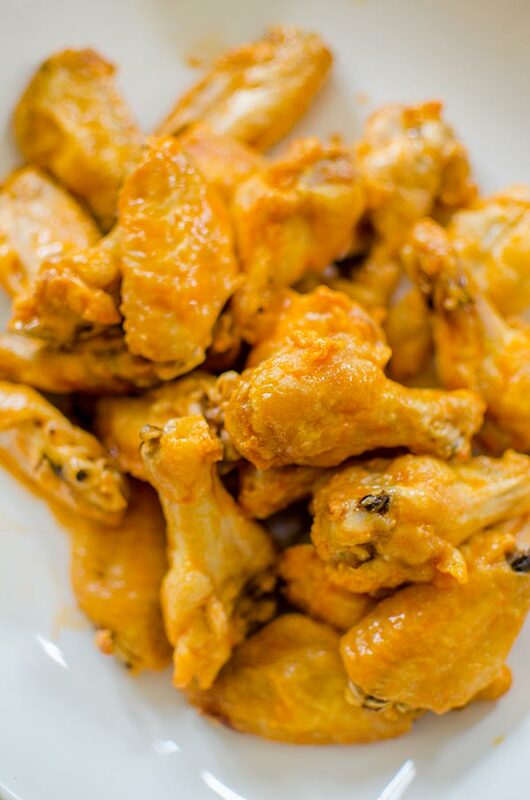 Toss chicken wings with hot sauce mixture and serve immediately. Let me know if you give this crispy baked buffalo chicken wings a try in the comments below.